Supports to recover data from all popular brands SD card like SanDisk, Sony etc. Allows to recover formatted SD card of all size i.e., 4/ 8/ 16/ 32GB etc. 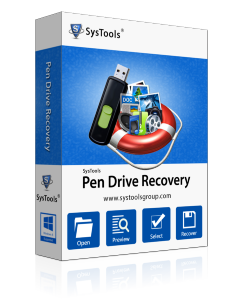 This SD Card Recovery software is designed in such a manner that it recover all type of data stored in SD card. The tool is capable to recover documents, images, videos, or any other type of multimedia files. It recovers all data in such a manner that it there will be no risk of data loss. It keeps the integrity of data intact as original. With the help of this SDHC Memory Card Recovery software, a user is allowed to recover data from SD Card of all popular brands like Sony, SanDisk, Samsung, Kingston, etc. Apart from this, a user can easily recover deleted files from SDHC, SDSC, and SDHC card without any hassle. Moreover, there is no file size limitation as it repair SD Card of any size like 4 GB, 8 GB, 16 GB, and32 GB without any hassle. The CF Card Recovery software is designed in such a manner that it recover formatted files from SD Card. It is capable to recover formatted data from micro SD, compact memory card, and CF card without any restriction. The software will scan, recover and display all formatted data in red color. As SD Card Data Recovery process completed successfully, a user is allowed to save recovered data at any desired location. It also permits users to create a separate folder from the software panel itself to the save the recovered file. This will help users in locating recovered data in more convenient way. After scanning and recovering deleted, formatted and corrupted data from micro SD card, the memory card data recovery software will provide a preview of all files and folders stored in it. Here, a user is allowed to save only selected data also from SD card to local machine. One just needs to check or uncheck the file or folder that he / she wants to save on the system. Another impressive feature offered by SDXC Card Recovery software is an option to search within the recovered compact memory card. A user can look for any specific file or data with the help of smart searching feature offered by this memory card file recovery software. In addition, one can use date-based filter also for better search results on the basis of date of creation or date of modification. This Compact Flash Memory Card Recovery software provides the preview of all recovered data in the viewing pane. At the time of previewing data, a user is allowed to sort data via its attributes. For example, a user can sort the data in ascending or descending order, or by its name, date of creation, size, date of modification, type, etc. The software recover lost, permanently, and formatted file from SD card in such manner that folder structure remains intact. It does not compromise with the original folder structure of data within the SD card. Apart from this, the software recovers entire data from each folder available in the SD card. It also ensures that there will be no change in the integrity and original formatting of data after formatted SD card recovery. 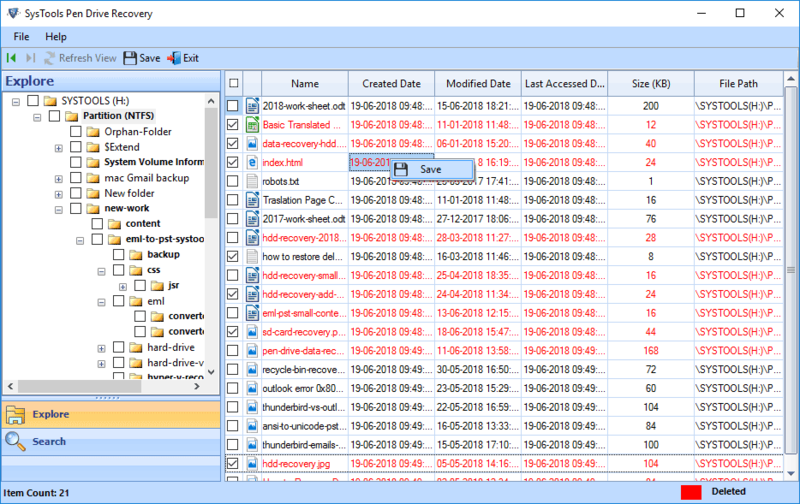 Using this Micro SD Card Data Recovery software, one is also allowed to recover permanently data from micro SD card. It will quickly scan the memory card and recover all data stored within in it. After that, the software will provide preview of shift deleted data in red color. A user can choose the desired data and save it on the local machine. 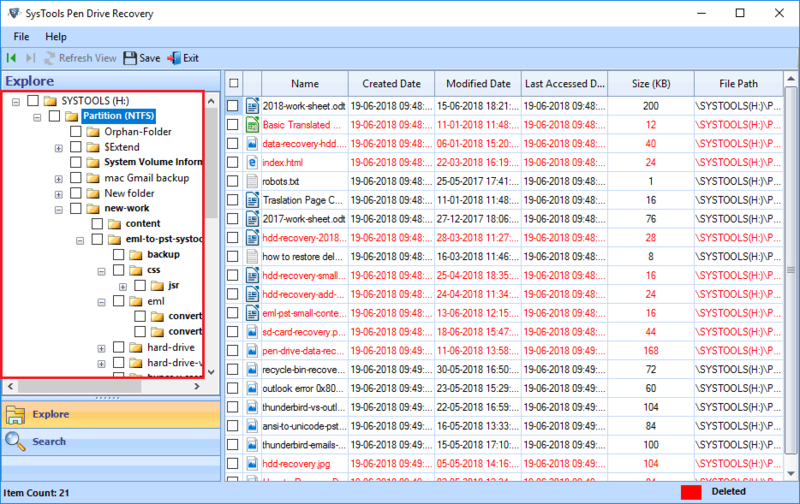 The memory card data recovery software is designed in such a manner that as an SD card is connected with system via Memory Card Reader slot, it will detect it automatically. After that, if a user wants, then he or she can perform recovery operation on the newly detected SD card. Apart from all this, the software can launched on any version of Microsoft Windows OS to recover SD card data of any size. Trial version of memory card data Recovery software will recover deleted, formatted and corrupted data and provide preview only. Saving option is restricted in demo version. Platform: Intel® Pentium 1 GHz processor (x86, x64) or Equivalent. Supports Brands Like: SanDisk, HP, Moser Baer, Kingston, Sony, Toshiba, etc. Supported SD Card Types: SDHC, SDXC, CompactFlash, Micro SD Memory cards, MMC etc. How can I use this software on my Windows 10 Machine? Does the SD Card Recovery software support SD card from all major brands? Yes, a user can recover lost or formatted data from SD card from almost all brands, including Samsung, Kingston, Sony, lg SD card. Is there any total size limitation imposed by the software during the recovery process? No, the Micro SD Card Recovery software does not impose any total SD card size limitation. A user can recover data from memory card of any size. Can I recover all type of data stored in SD Card with the help of this software? Yes, the SD Recovery software is capable to recover all type of data like videos, pictures, data file, documents, etc. Can I save recovered data from SD Card on my local machine? Yes, The memory card data recovery software allows users to save recovered data from SD Card at any desired location on the local machine. Does the software allow me to recover lost or shift deleted data from compact memory card? Yes, the sd card data recovery software is capable to recover lost or shift + deleted data from compact memory card and all other SD card without any trouble. 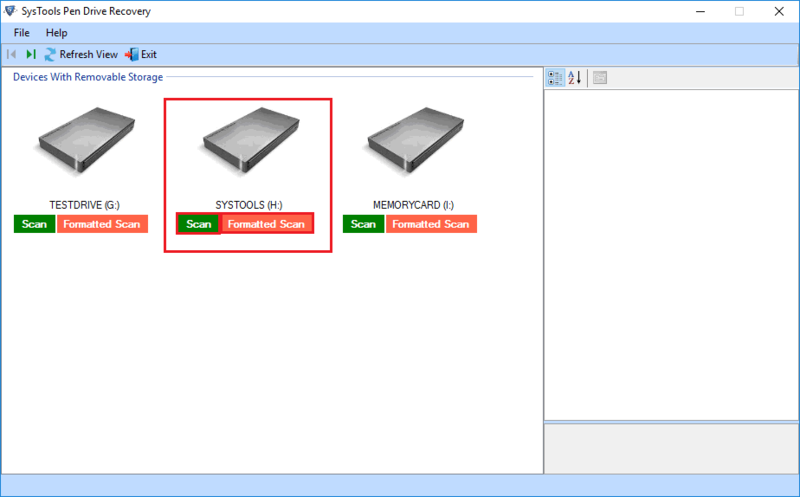 Is the sd card recovery tool supports all brand memory cards? Yes, the memory card data recovery software supports all brands sd card like Sandisk, Kingston, Sony, Samsung, Polaroid, Lexar, Transcend, Micro SD Card etc. Is the software supports lost data recover from all type sd cards? Yes, the sd card data recovery tool supports deleted, formatted and corrupted data recover from all type memory cards like SD (Secure Digital) Memory Cards, SDHC (Secure Digital High Capacity) Memory Cards, SDXC (Secure Digital ‘Xtra Capacity’) Memory Cards, CompactFlash (CF) Memory Cards, Micro SD Memory cards, xD Picture Memory Cards, Memory Stick Duo Memory Cards, Multi Media Cards (MMC), UHS-II, CFast 2.0 standard etc. 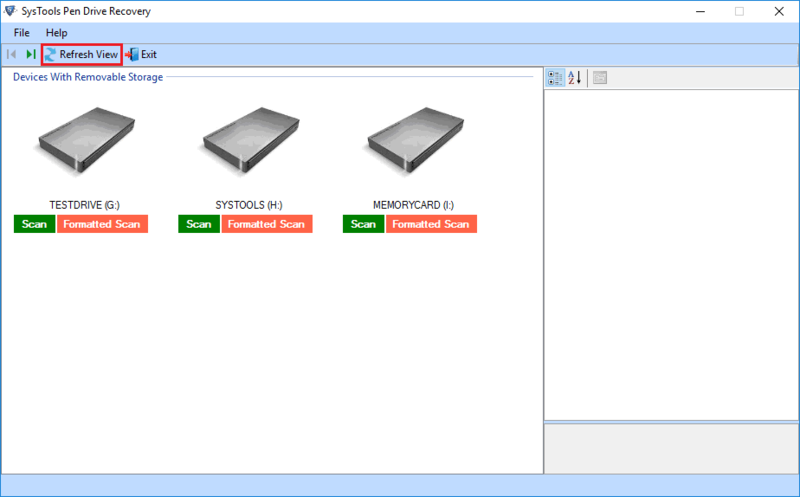 Does this sd card data recovery tool posses any memory card size limitation? No, This memory card file recovery tool is capable to restore data from 2GB, 4GB, 8GB, 16GB, 32GB, 64GB, 128GB, 256GB, 512GB, 1024GB etc. Recovering lost data from SD Card is not at all an easy task. I tried various manual tricks to recover lost data from Kingston SD card but unable to succeed. Thanks to this SDHC Card Recovery software for recovering my all data in few simple clicks. Ingenious application. After using this Compact Memory Card Recovery application, I can easily say that it is one of the best and simple tool that I have tried till now. The best part is that it keeps folder structure intact as original even after recovery process. I will definitely going to suggest this application to my friends.